Goa is a complete vacation package. With its beaches, historical sites, churches and convents, nightlife and culture, Goa is the perfect destination for a planned holiday or even an impromptu getaway. And in March, Goa is all set to welcome one of its biggest festivals – Shigmo. Also known as Shigmotsav, the festival kick starts on March 3rd and continues over a fortnight across several rural parts of Goa. The festival resembles Holi and celebrates the coming of spring and is one of the different types of Holi celebrations in India. Like the famous Goa Carnival, Shigmo is now an important annual event in the State’s tourism calendar. Thousands of tourists from all over gather to witness the spectacular Shigmo parades. They’re known for demonstrating the essence of Goa’s favourite spring festival on the streets all across the state. Shigmo is a religious Hindu festival filled with music, dance, colours and a float parade. Men and women perform traditional folk dances like Ghode Modni and Fugdi in huge groups along the procession. These performances depict the life of a Goan. The streets are adorned with attractive and colourful décor, lively music and elaborate dance performances. You can find all sorts of traditional Goan delicacies dotting the streets as well. In its essence, the Shigmo festival has its roots in folklore. It is celebrated to mark the beginning of spring but also to honour the homecoming of soldiers who left their homes at the end of Dusshera to fend off invaders. To tie in with the folkloric traditions one of the major highlights of the Shigmo parade are the skits, which recreate some important mythological scenes from epics like the Ramayan and the Mahabharat. Shigmo festivities truly showcase how creative local Goans are with their costumes, props and decorations. Kids and adults work together to create paper mache effigies of demons and other famous characters from the Indian epics. The most popular of these is Ravan, the primary antagonist in the Ramayan and the demon King Narakasur who in the Mahabharat was killed by Lord Krishna. These effigies are burnt to denote the triumph of good over evil. And the localities pour all their creativity into creating the most spectacular floats. Sometimes, there are even competitions held among them. Fancy dress contests are also part of the parades at times, with people dressing up as gods and goddesses and other significant spiritual characters. The Shigmo parades are an audio-visual spectacle. People are dressed in colourful outfits holding flags, some are performing traditional dances and skits, and many play large instruments like the Dhol Tasha and flutes along the procession. Similar to Holi, people throw colour on each other, along with paint and balloons filled with coloured water. The parade is a fusion of fantasy and folklore come to life. Tourists are also welcome to partake in the festivities. If you find yourself free in March and are thinking of planning a trip, be sure to include Goa and the Shigmo festivities in your itinerary. If you’re visiting Goa for the first time, check out this page for more information on this fascinating and fun city. And who better to turn to than Sterling for holiday packages and hotels. 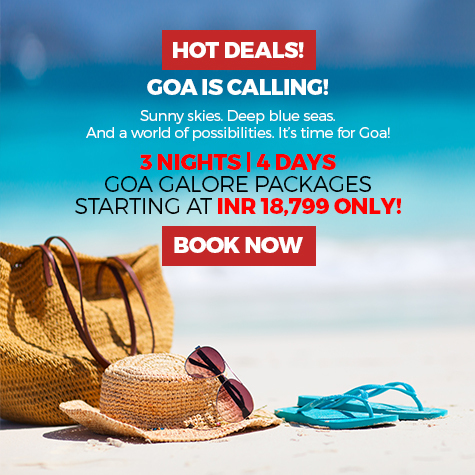 Done with Goa and want to explore someplace new? Let Sterling help you decide where to go next. 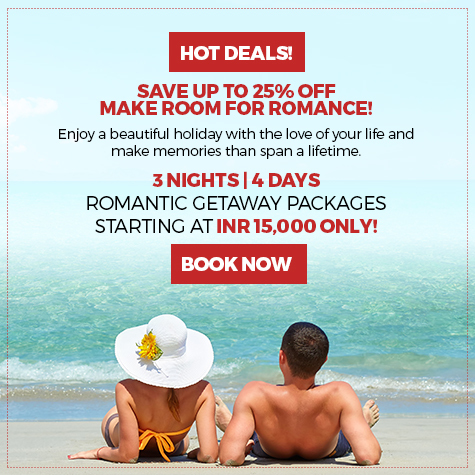 Visit their website for special holiday deals in Goa and other cities.